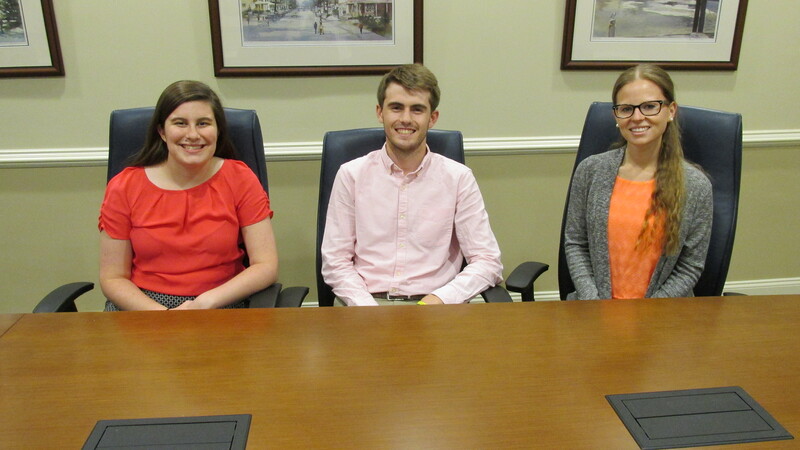 On Monday, June 11th, we welcomed our 2018 Summer Interns…Rachel Mulderrig, Brian Walker, and Olivia Jamison. Each has completed their junior year at the University of Delaware. Our summer internship is a 10-week program designed to show each candidate the different areas of services provided by our firm. It provides a challenging experience that allows interns to gain exposure to all facets of an accounting firm, as well as providing them with real life experiences that they will face if they choose to pursue a career in public accounting. We have a week-long orientation process, with shadowing and mentoring throughout the 10 weeks. Our interns are encouraged to attend firm networking and marketing activities, as well as the firm social activities and various client meetings. Most importantly, they will be participating in audits, reviews, and/or compilation engagements, as well as gaining valuable tax preparation experience. Welcome Rachel, Brian, and Olivia! !